Seat Height: What is 'Seat Height'? 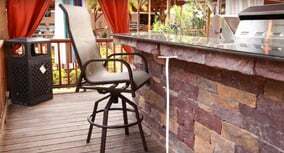 Sling patio furniture offers a stylish look, along with comfort and easy maintenance. Sling dining sets are the perfect addition to any backyard or poolside.